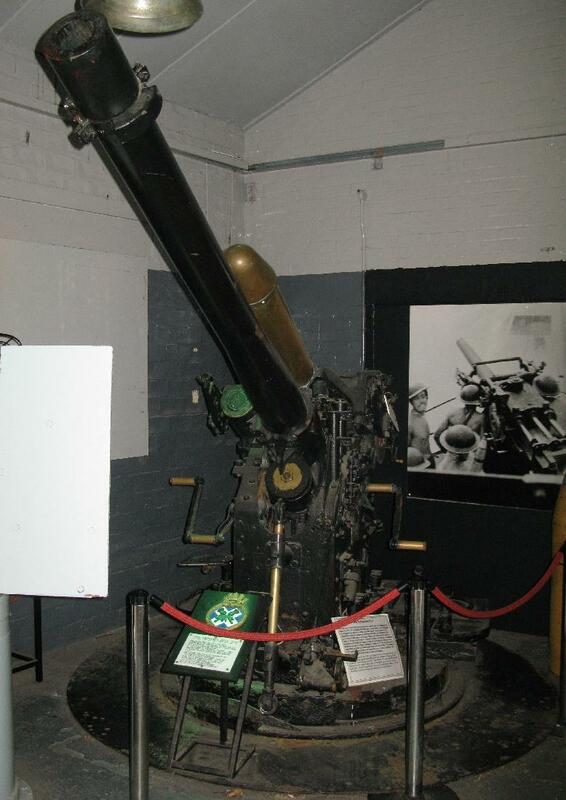 4"/33 (10.2 cm) gun from HMS Andrew now at the Royal Navy Submarine Museum, Gosport, Hampshire, UK. Photograph copyrighted by Geni. Plaque for gun in the previous image. 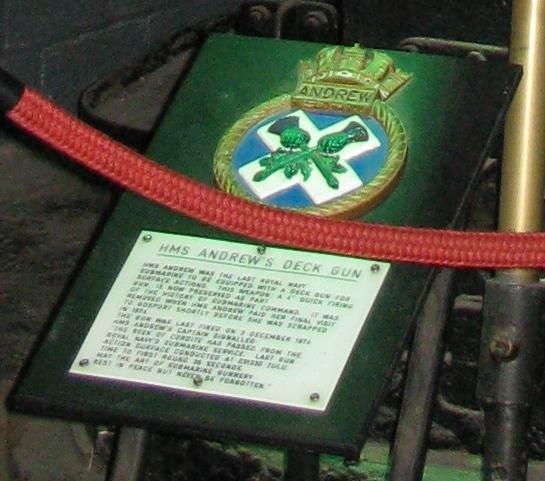 Notable items on this plaque are the following: "HMS Andrew was the last Royal Navy Submarine to be equipped with a deck gun for surface action" and "The gun was last fired on 2 December 1974." Photograph copyrighted by Geni. A light weight gun for submarines. Developed too late for service during World War II. Constructed with a monobloc loose barrel and breech ring. The bore and external parallel section were nickel plated and zinc protective plates were on the breech ring and horizontal sliding breech block. A total of thirty-one guns were manufactured. Actual bore length was 33.04 calibers.